We are elated to announce that Port Denarau Marina was officially declared a Port of Entry in the 2017/2018 Fiji Government budget at the end of June. Port Denarau Marina Ltd is Fiji’s leading marina facility and the busiest commercial port in Fiji. It is recognised by the Marina Industry Association as the International Marina of the Year for four consecutive years, winner of Community Support Initiative by a marina and awarded first Clean and Fish Friendly Marina in the Pacific. Previously Port Denarau Marina was a sufferance port with exorbitant clearance costs, which was a major deterrent for foreign visitors having to clear into Lautoka. They have been busy working together with government agencies to ensure that the processes are in place to ensure seamless in and out clearances for vessels who have overnight bookings. Operation hours for Port of Entry clearance are: Monday to Friday 0800hrs – 1600 hrs. All yachts arriving in Fiji must give the Controller of Customs two days prior notice by completing and forwarding the Advance Notification of Arrival using the C2-C form. Upon reaching pilot station, you will need to contact the Port Control on Channel 14/16 and request for entry into port. If from a High Risk Port – vessels are not allowed to enter unless first attended to by Ministry of Health. In the meantime, vessels must hoist and fly the “Q” flag on the mast until cleared by Health or unless you have received a radio pratique from Ministry of Health. Vessels will need to inform Customs of any disembarking crew and reasons for disembarking. 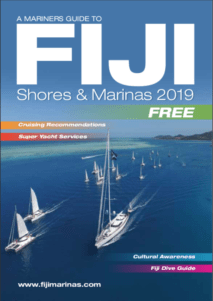 As part of clearance procedures, Fiji Customs request visiting yachts to subscribe to and activate AIS while in Fiji EEZ waters. Non-compliance with this request will see yachts that are not broadcasting to be shifted into their high risk category and appropriate attention paid to them. Two government officials are only required for outward clearance, making the departure process much easier. The two officials are Immigration and Customs unless otherwise requested. However, an overnight booking at the marina with a prior notice of 48hrs before departure is still required so that officials can schedule accordingly. 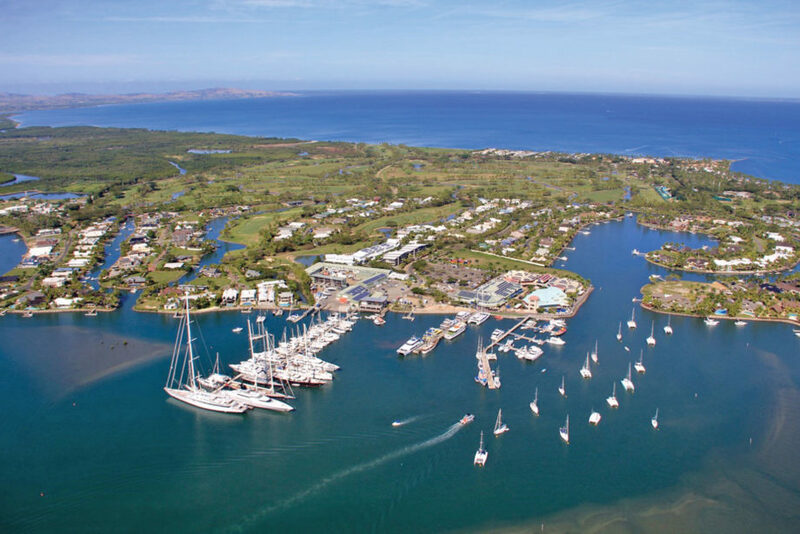 Port Denarau Marina is perfectly placed as Fiji’s newest Port of Entry. The infrastructure and systems are in place to accommodate all requirements and will be in an easy position to evolve with changing needs. These are exciting times for the marina, the visiting yachts and for Fiji as a yachting destination of choice.